Luxury real estate developer Damac Properties said the Middle East fashion scene will soon witness a new tier of opulence and glamour, with the unveiling of the second phase of Just Cavalli Villas’ sales bookings this Saturday (September 15). The long-awaited collection, by Damac Properties, will be on preview at the limited-edition Just Cavalli show villa till September 17, said a statement from Damac. The show villa, fitted with luxurious silks and velvets, promises to surpass expectations with impeccable craftsmanship and exotic designs, it stated. Niall McLoughlin, senior vice president at Damac Properties. "The designer show villa, with lavish interior spaces, will be open for private viewing during the three-day launch. 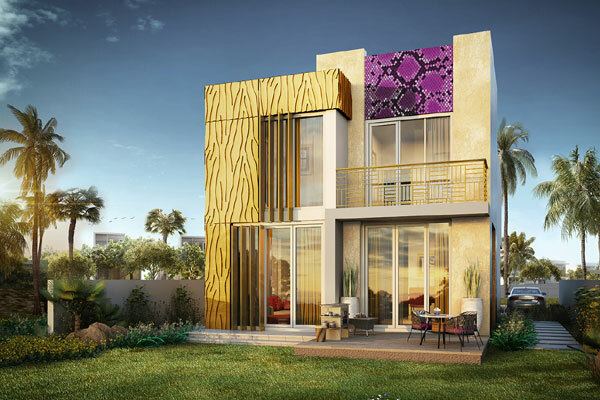 Just Cavalli Villas, part of Damac’s Akoya Oxygen community, start at Dh1.35 million ($367,491) with booking fees of 7 per cent," noted McLoughlin. "To secure an exclusive viewing of the latest collection, interested buyers are encouraged to visit Damac sales centers in Dubai, including Park Towers in DIFC, Ocean Heights in Dubai Marina, or Damac Hills," he added. Damac pointed out that the residents of Just Cavalli Villas will have access to the countless world-class amenities on offer in the Akoya Oxygen master community development, including lush parks, gourmet fare and retail boutiques, as well as an 18-hole international golf club. Witnessing a growing demand for branded real estate, in 2017 Damac Properties announced their collaboration with the renowned Roberto Cavalli Group, said the statement.